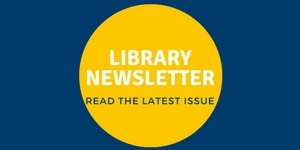 Read the latest Library Newsletter! Read the full Summer 2018 Library Newsletter. Subscribe to the newsletter to have it delivered directly to your email inbox!